Confession time: I'm a bit of a skincare junkie. Even on my last trip to the Big Apple I purchased way too many skincare from Ordinary and went a bit shopping crazy in Ulta Beauty and Sephora. I still love make-up but it's much better to get good skin so you don't need to cover up the bad. And believe me I have a lot of bad. Acne, scarring, redness, large pores and all that jazz. That's maybe why I love skincare so much. To see what actually does something to my skin to make it all go away. 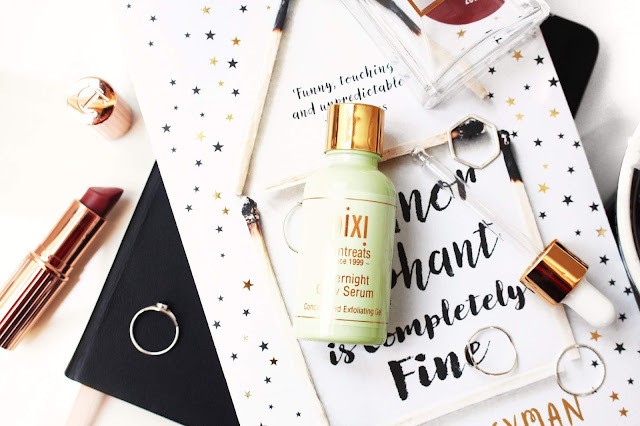 Today, I want to talk to you about one of the products that actually does something to my skin: the Pixi Overnight Glow Serum. You might know Pixi from their hyped up Glow Tonic, which I LOVE a lot too. I have been using it for years and this serum is even better than that. Like that can be possible? 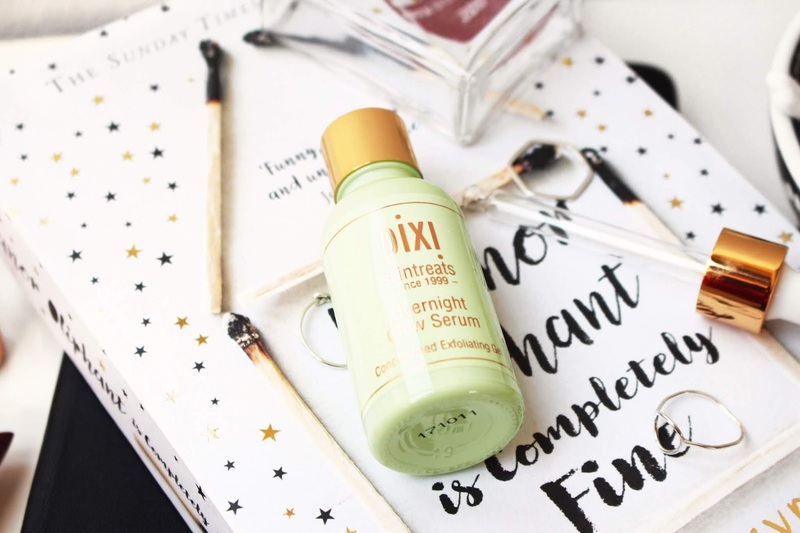 The Pixi Overnight Glow Serum is exactly what it says in the name. The serum has a thick consistency that I leave on overnight and I wake up with the most amazing glow. Isn't that what we all want in a skincare product? According to the Pixi website it exfoliates and soothes skin and it's a miracle serum that works while you sleep to reveal a brighter complexion. It's formulated with 10% glycolic acid & arginine that helps to reduce the appearance of fine lines and fade sun spots over time and is enriched with cucumber & aloe vera extracts to calm skin and vitamins A, C & E to nourish. I use it in the PM -otherwise it's not overnight, right?- and this is the last serum that I put on my face. The dropper is one of the only things I don't like as much since the serum can get everywhere if you are not careful. I put 1-2 drops on my hand and massage it into my skin. It can sting a bit, but for me that's a sign that it's working. I leave it on a bit before I add my moisturizer and pop into bed for some well rested beauty sleep -after binge watching season two of 13 Reasons Why, obviously-. The next morning I wake up with the most glowy skin in the world. 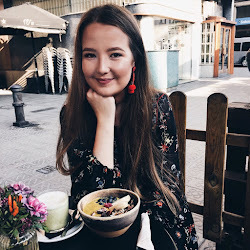 I have combination/oily skin too so there is lots of shine there, but when all that goes down the drain with my Face Cleanser from First Aid Beauty I am left with such an amazing glow. My skin seems more even, the scars are faded a bit and the redness is not as present as before. I know this sounds too good to be true, but I honestly love this product a lot. With £26 for 30 ml it's on a higher price range but compared to other beauty brands I think it's still reasonable. If you are looking to try out a product from Pixi or searching for a good glowy serum this babe is the one. I love it even more than the Glow Tonic, so even if the tonic didn't work for you this probably will. Your dull and tired skin will thank you for it! What is your favourite Pixi product? Anything with the word 'glow' in it I must try haha Will definitely have to pick this up, thanks for sharing!